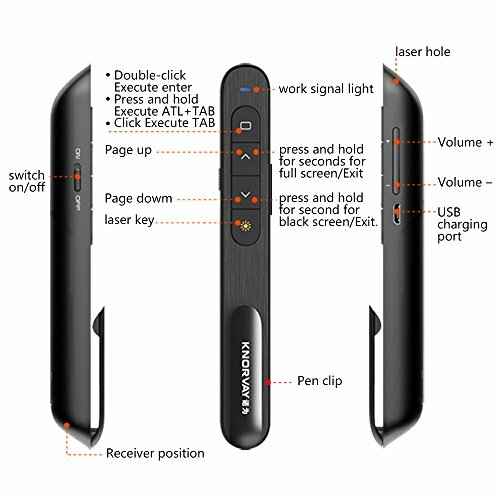 Featuring a pen-like design, alt-tabbing and hyperlink functions in presentations, it is an intuitive and easy to use tool for any and all presentations. 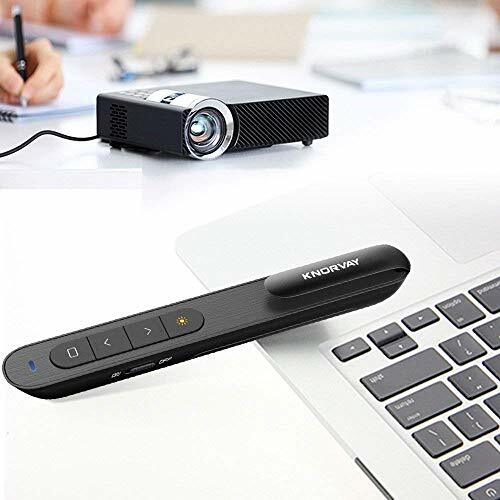 Thanks to the built in laser pointer you can point out details to your audience while you present from up to 100 meters range. 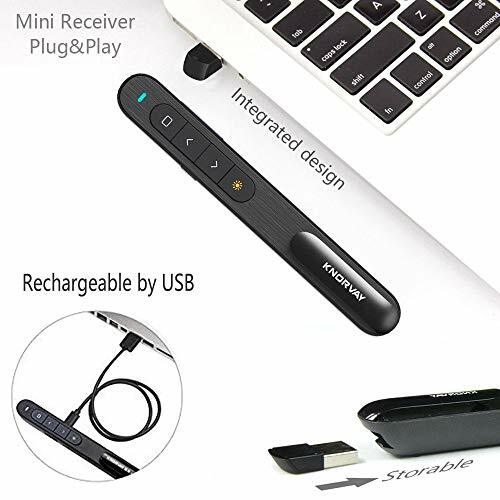 The USB connector is securely placed within the presenter itself, making sure you are always ready. Windows 7, Windows 8, Windows 10, Mac OS, Linux, Android 4.3 or above. 1. Do not direct the beam at any flying objects, moving vehicles and any public or private structures; 2. 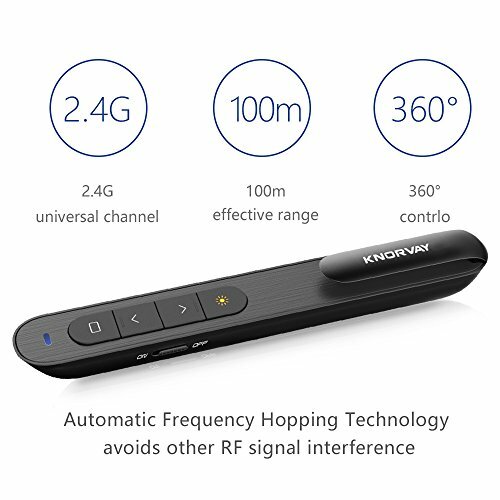 A pointer should not be directed at people. A pointer can be dangerous if not used properly.please NOTE it. 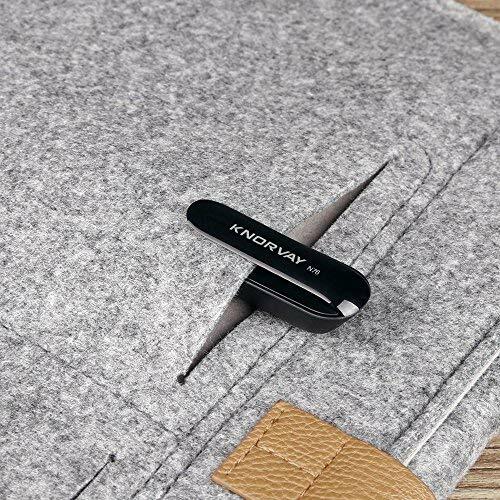 Any questions, please contact us: To email Knorvay Customer Service: you can click "Your Account" on Amazon, click"Your Orders", find the Knorvay order, click "Contact Seller". Long press the "Up" and "Down" at the same time to switch to Prezi Mode. 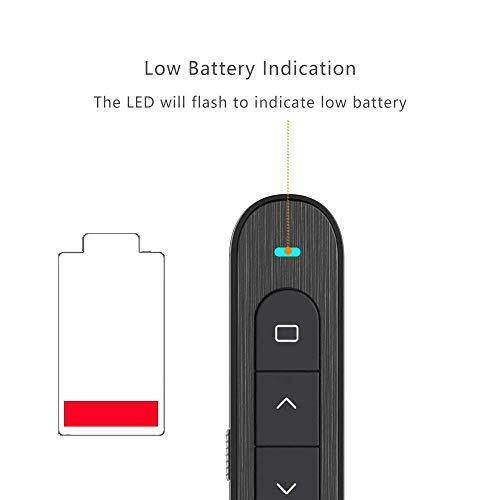 Rechargeable Presentation Clicker: With built-in 360mAh rechargeable lithium battery, charging time is about one hour, can use for more than one week. 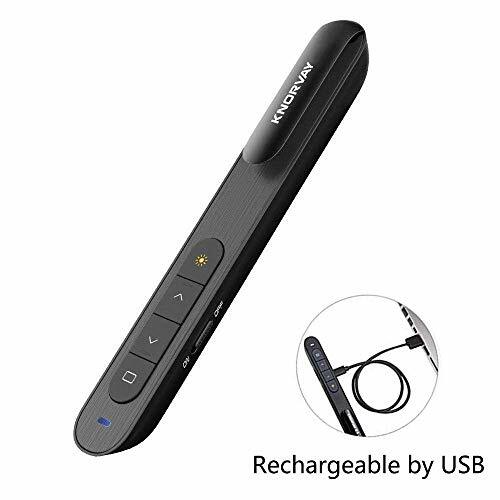 Laser Pointer Rechargeable Supports Systems: Windows 2003, XP, Windows Vista, Windows7, Windows 8, Windows 10, Linux, Android, Mac OS (Only support Page up/ down on Mac. 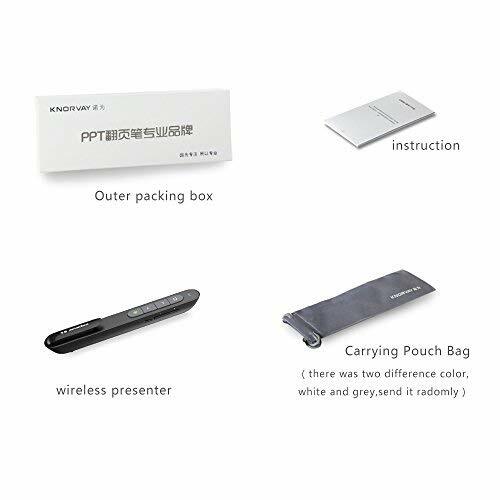 Powerpoint Clicker Designs for Convenience: Low Power Indicator design, the Led indicator will flash slowly when the power is low; One-piece design, mini USB receiver stored in wireless transmitter tail which it stays fixed with a magnet system.